The splendid traditional pillars of California House’s Hillsborough Shuffleboard Table are truly a sight to behold. Look underneath the top to discover the fine details and exquisite carvings. 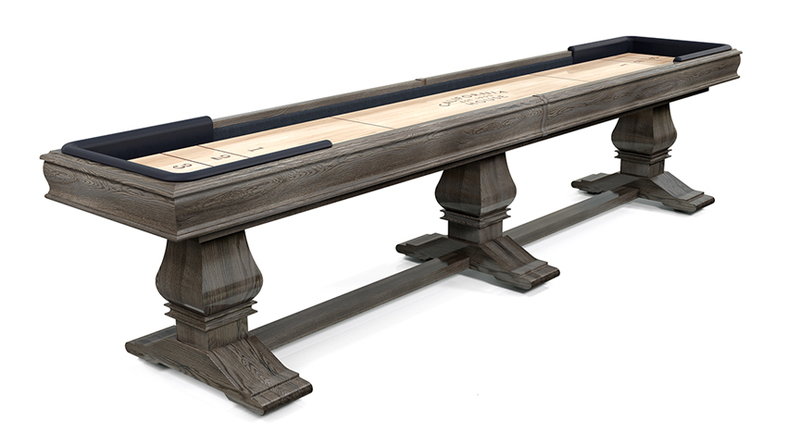 The magnificent, sleek, and polished tabletop shuffleboard field shows the top-tier craftsmanship, and incredible attention given to each part of the table. The 12 foot Hillsborough shuffleboards are the next size up from the 9-footers. They still have some of the great qualities as their smaller cousins, being more compact than longer tables, and providing gameplay that’s a little more technique-based. 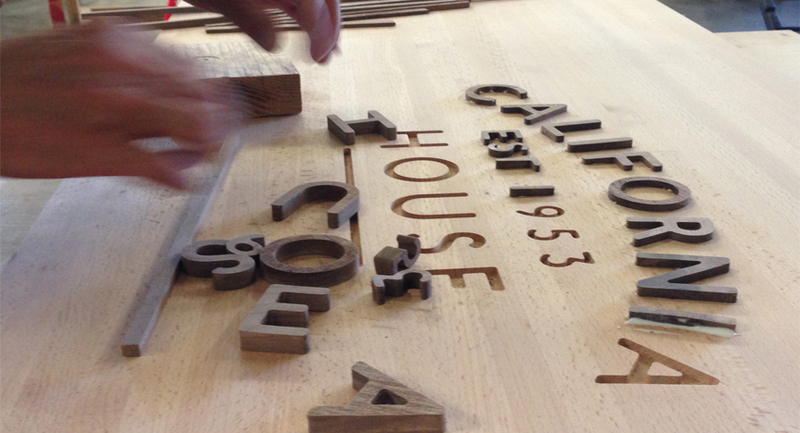 California House goes a step beyond other shuffleboard manufacturers by offering customizable options for their original designs. A diverse list of lush fabrics and rich finishes let you purchase a table unique to your taste. The Hillsborough has a solid 2.25″ thick tongue, and grooved beech wood play field with inlaid black walnut scoring areas. All quality-made in the USA. 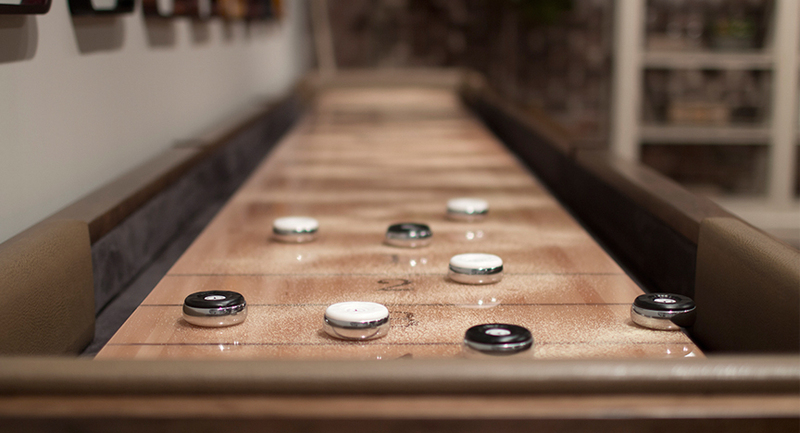 The Hillsborough Shuffleboard Table is an original California House design.